WOLFERTON - Opened in 1862 by the Lynn and Hunstanton Railway, Wolferton became the local station for Sandringham House, just 2 miles away. This accounts for the rather grand, half timbered buildings at a station otherwise so humble. It was much used by the Royal Family when at Sandringham, which itself generated much goods traffic through the station yard. The station closed in May 1969 but is still in use as a private residence. 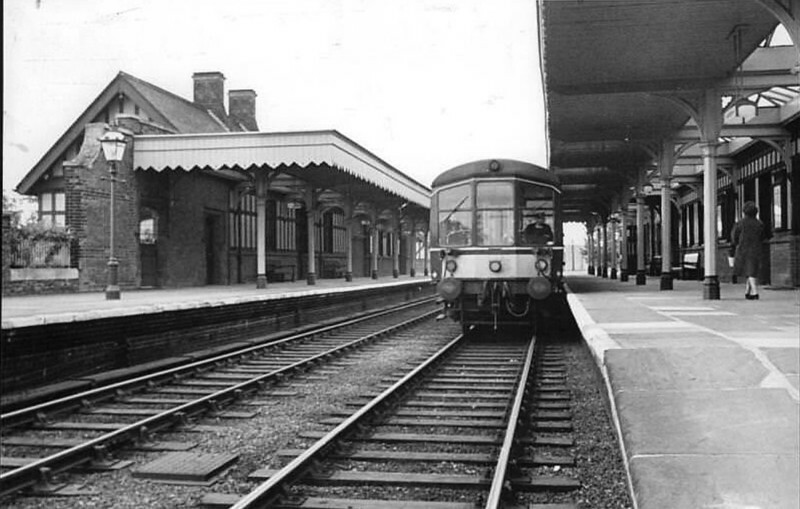 Here we see a 2-Car Derby Lightweight DMU about to depart for Kings Lynn. Note how immaculate the station is and how very Victorian it looks.